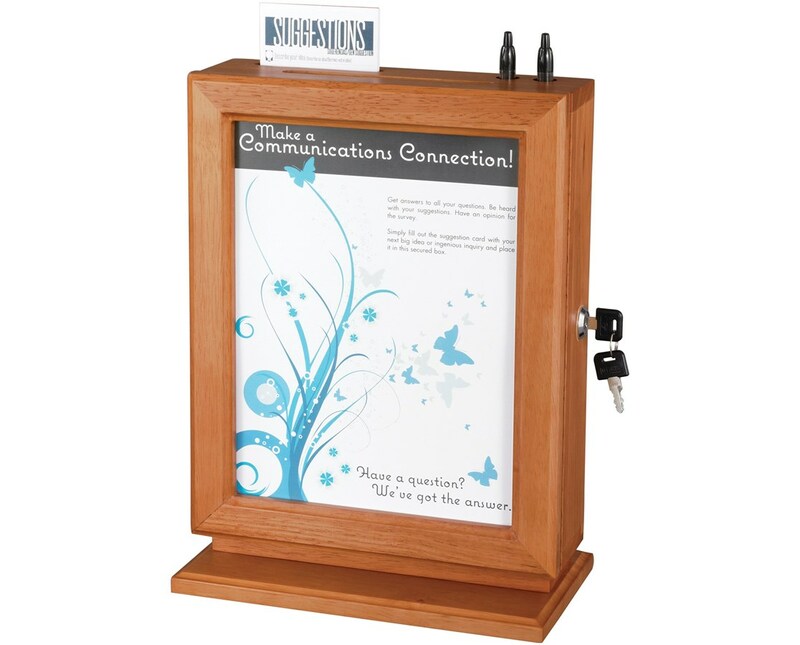 The Safco Customizable Wood Suggestion Box is an elegant-looking drop box to complement any setup. It features an 8½-inch wide panel that allows easy customization of the display message. At the top is a space that holds suggestion cards, as well as 2 writing implements. The drop slot is 5 ¼ inches wide and half an inch deep. The contents are secured by a lock with two keys. 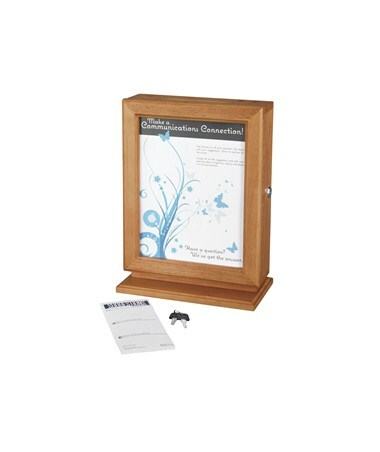 This collection box can be placed on a tabletop or be mounted on a wall. 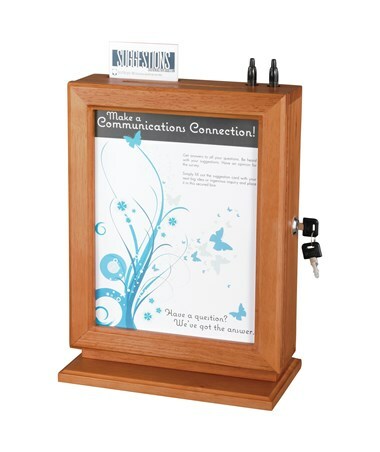 It is made of wood with the display panel made of plexiglass. Mounting hardware is also included in the package. 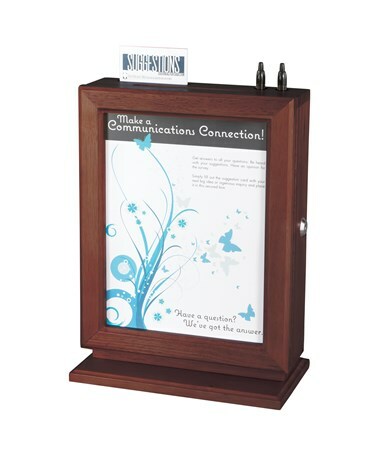 The Safco Customizable Wood Suggestion Box is available in two different colors. Please select your preference from the choices above.